Whew, it was a long day and week but at the end of it, I’m proud to say that we have a short but very sweet update. First, we have some very good news to report. After a lot of hard work by the team, the first version of the new ability system is online this weekend for an IT test! It may not look like much now, but what our IT folks will be seeing this weekend is a big leap forward for our game’s tech. We are going to do a full livestream session when all the pieces are in place, but as of now we can easily create and use abilities via the new system. As part of our refactor, the “re-abilitation” team has taken a system that had tens of thousands of lines, put it on a diet, refactored it and replaced it with a streamlined system that is around two thousand lines. What we are trying to accomplish now is to get to the point that we were a few months ago in terms of the total number of abilities in the system. However, the best part of all of this is that even in its highly reduced state, we already have added new and different functionality than the old ability system ever had and more is coming next week. The first step in that process has now been accomplished. So this weekend, we will be asking our IT folks to beat on the first stage of system and hopefully get bad things to happen with it. And, of course, what they will be seeing now has been set up to help stress test the system so the cooldowns are almost non-existent, we’ve only created a few abilities, the new animations aren’t in (but we do have some particle effects attached), some sounds are attached, and ability crafting is turned off, etc. Again, please remember that this is just the first stage of the new ability system. However, the fact that we can already do some things that we couldn’t do two months ago (see the “guard” ability) is a very good sign. Oh, and making abilities in the new system is so much easier, that in the upcoming versions Ben and I can do it ourselves through both an editor and scripting. Getting to this point has been tough, but from what we can see already, it has been and will be well worth it. Besides the IT test this weekend, we have put up a new version of C.U.B.E. which has, among many other things, improved materials, new block shapes, improved water, fixes to numerous terrain bugs and so much more. With this C.U.B.E. push, we’ve also made some significant changes to the way block data is stored, saved, and loaded. This means that your save files have to undergo a version update to account for these changes. We’re not perfect, so there’s a chance that this update will not work properly. But don’t panic! We now automatically create a backup of your old file before making this update. These changes will make it even easier and quicker for us to add new block types, materials, etc. as we move forward. If you find that your cube file has been corrupted as a result of this update, please let us know either on the forums or by emailing support. Send us your backed up file (located at %localappdata%/cse/camelotunchained/C.U.B.E/<filename>.cube.v#), and we’ll try to resolve the issue. Once it’s been fixed, you can simply remove the .v# extension and retry the update with your original file. This will create the backup again, in case things still go poorly. Also, some blocks are no longer supported, and have been replaced by temporary solid color blocks. We will provide a tool which will allow you to change these to any other material you want in your cube files and your blueprints. In terms of concept art, here’s something for those folks who might have an ax to grind with their fellow players. Each of these designs is in the hands of Jon who will be bringing them to life ASAP. First up, an Arthurian ax. Next, the double-bladed axes of the Vikings. 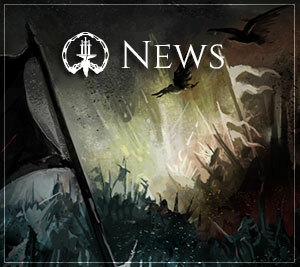 While not historically accurate, we want to give these axes a very unique look that separates them from the other Realms. Finally, the even more unique stylings of the Tuatha De Dannan. As you can see, it is quite different from those of the Arthurians and the Vikings. 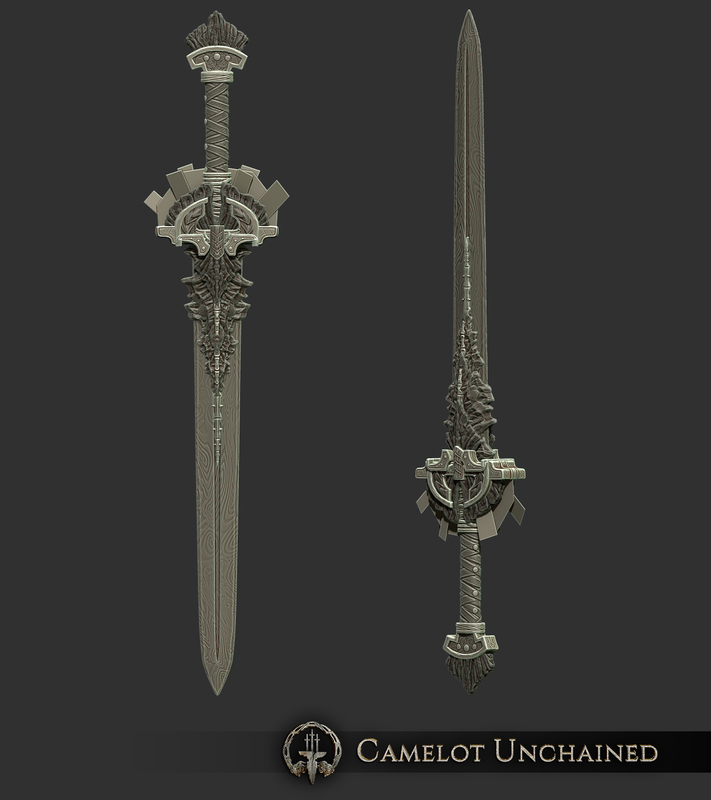 As is our mantra, each Realm has a unique look and feel for their weapons, all of which we hope are equally cool and interesting and supports the game’s design. My personal favorite is the Viking ax as it almost looks like two blades attached to a hammer. 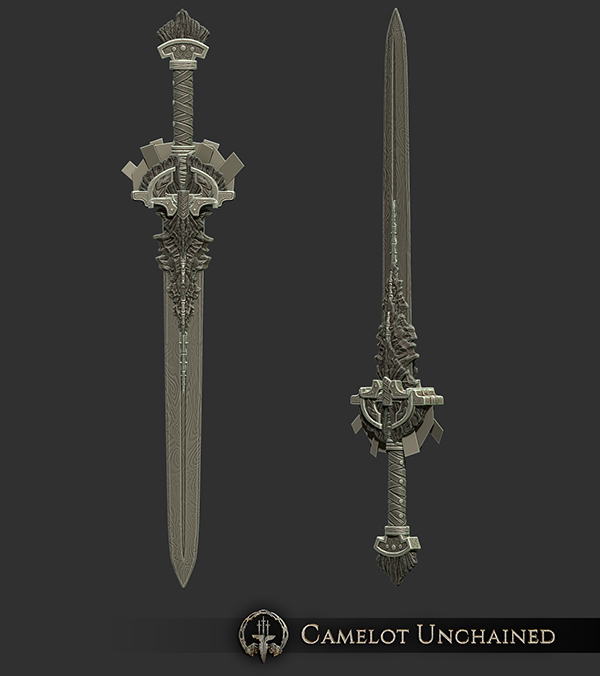 The final bit of art is the latest work-in-progress render of a Viking heavy sword. Well, as this is an in-between week, it’s a short update, but I hope you’ll agree that it is a very sweet one. We ended the month of May on a high note and it is just getting better and better. We hope our Alpha and Beta 1 folks enjoy all the improvements in C.U.B.E. and our IT folks have some fun running around in Hatchery (which is now open). I know it seems like forever since Andrew and I sat on the couch, hat in hand, to deliver the bad news. Well, I’m now happy to deliver some very good news with a lot more to follow in the coming weeks. As always, we thank your for your patience and support.